Alphabet Foam Moon Sand Recipe for Hands-On Learning & Fun! 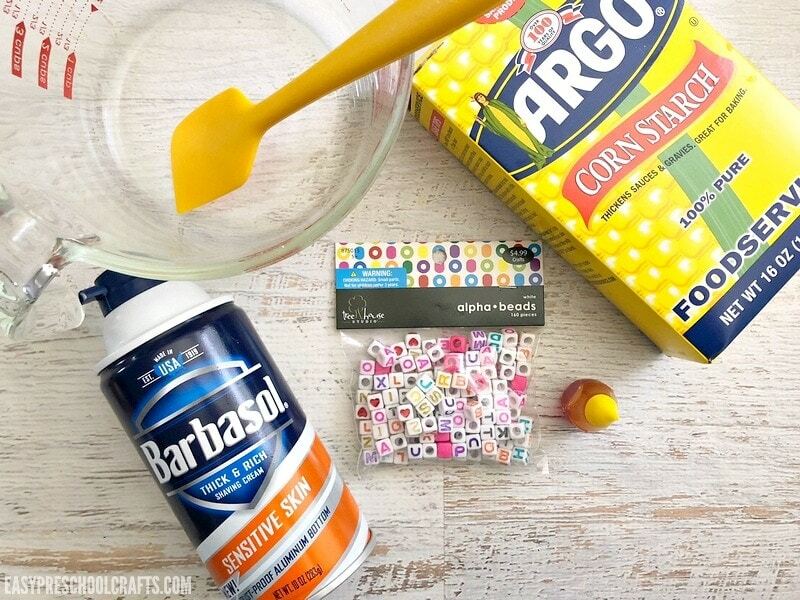 Home » Alphabet Foam Moon Sand Recipe for Hands-On Learning & Fun! Back to school season is coming up! 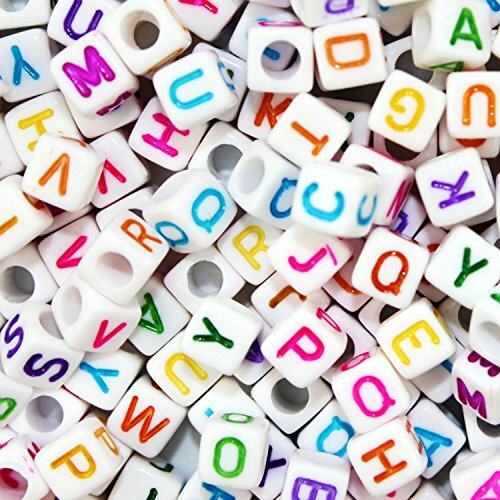 For preschool kids, learning and school is all about fun and the alphabet! We’re working on our complete collection of letter of the week crafts at The Simple Parent but wanted something a little more hands-on for the younger kids! MEET MOON SAND. Moon sand is one of the easiest versions of playdough you can make. 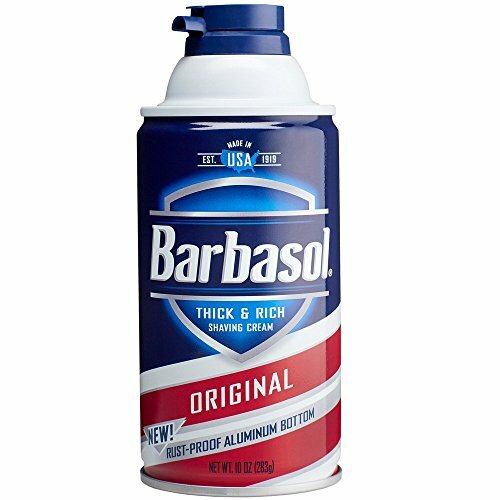 You might even have everything you need to make it at home right now! We’ve added a little twist to make it all about the ABCs and making it a great thing to make for back to school! Moon sand, moon dough, cloud dough, cornstarch playdough — whatever you call it, it’s really almost a staple in preschool life. We like it because it’s easy to make, doesn’t require any heat, and doesn’t contain any ingredients that might be toxic to our kids! You can easily make it in small batches or larger ones just by tweaking the measurements. 1. 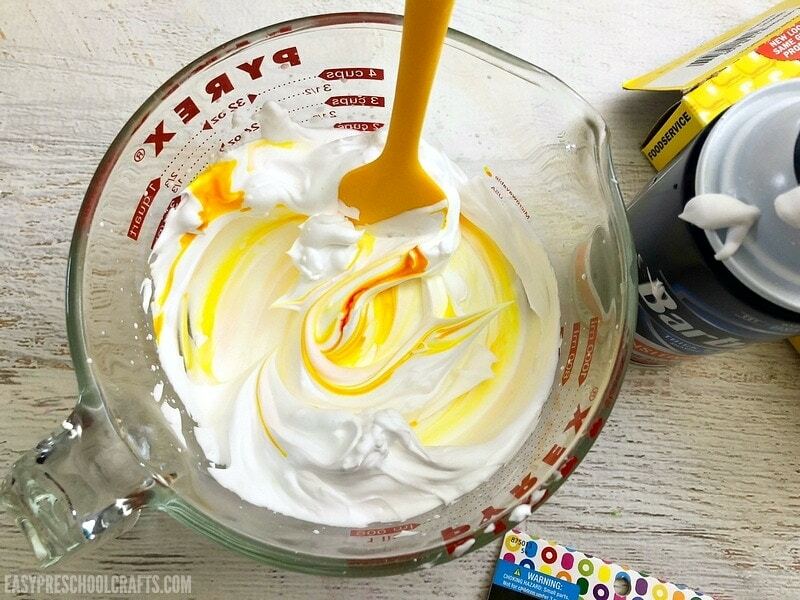 Combine the shaving cream with a few drops of food coloring into a large mixing bowl and mix well. 2. 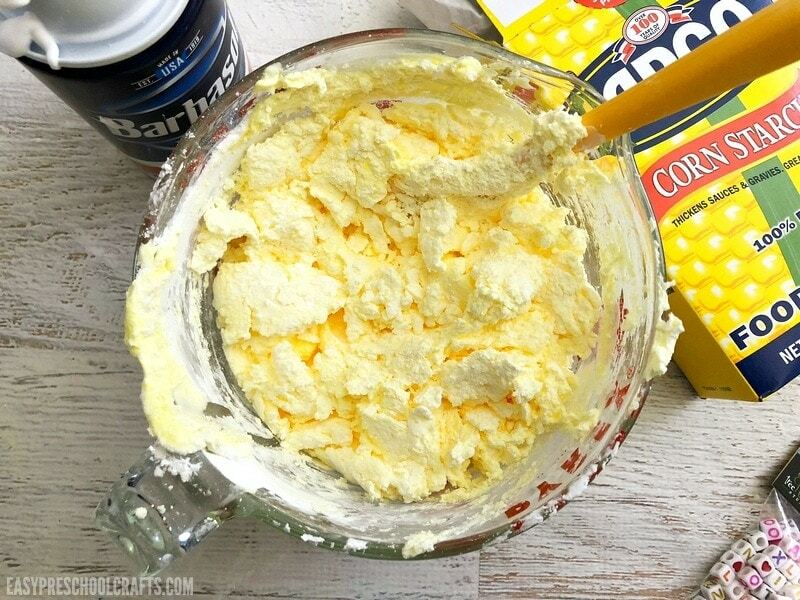 Add 1 cup of cornstarch and mix until you have a moldable dough. 3. 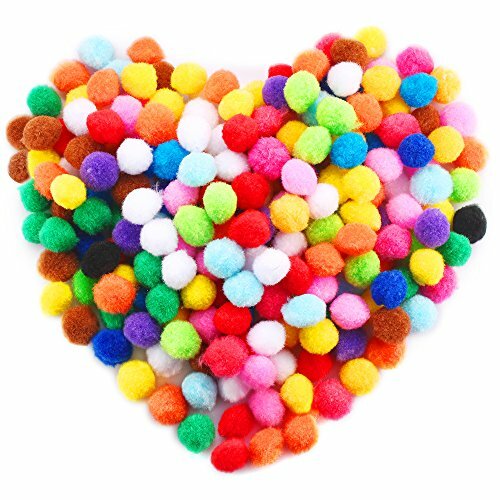 Scoop into a larger bowl and mix in the beads and pom-pom balls using your hands. 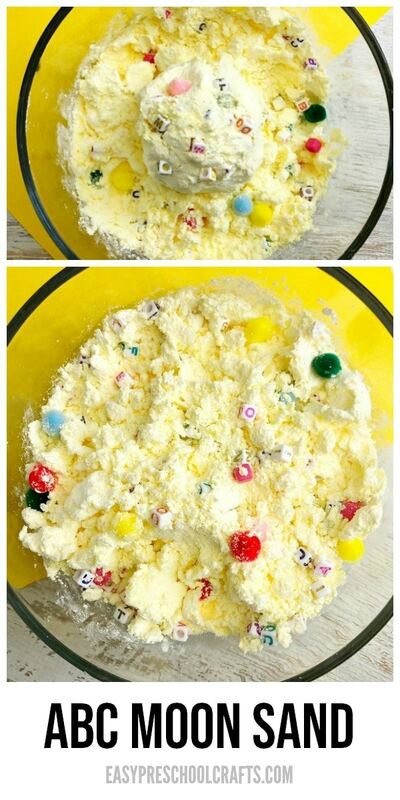 You can let the kids play in the bowl or move it onto a baking sheet or tray. If you let them play on a table, think about putting some parchment paper down first for easy clean up! This is great for a game of I-Spy, color identification and letter identification. Or you can just let the kids explore on their own and see what they come up with. 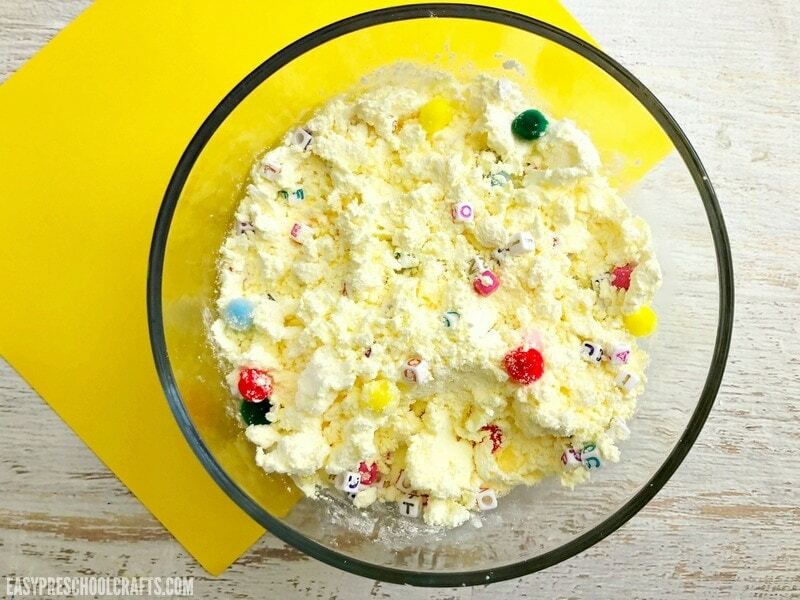 Measuring cups and spoons, tongs, and cookie cutters are great to use with cloud dough. *contains small parts, do not put in mouth and please supervise small children while playing. The yellow moon sand is also a fun recipe to make if you’ve been watching any of the Despicable Me or Minions movies! If your kids are fans of those movies (or just happen to be Minions fans in general), we’ve got an easy Paper Plate Minion Craft to make and keep the love of all yellow creatures rolling! 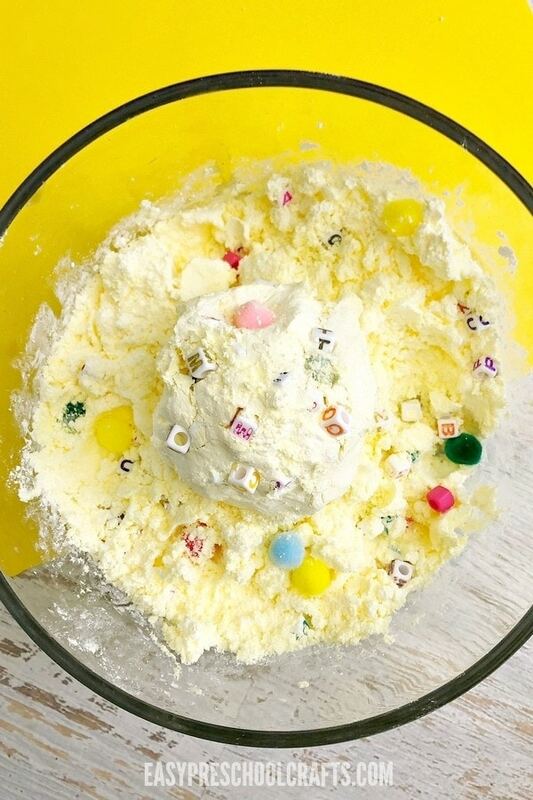 If you leave out the alphabet beads, think about adding some big googly eyes to really turn it into Minions Moon Dough! Previous Post: « Make a Preschool Cupcake Craft to Celebrate… Everything!